BREVARD COUNTY, Fla. -- Less than a week after a successful community-wide pet adoption event, Brevard County’s animal shelters in Titusville and Melbourne are filled to capacity. Torpy said about 750 of those that wound up in the shelters last month were kittens or cats. Animals are in the shelters for a variety of reasons. Many owners surrender their pets, even after they are told that their pet may not be successfully placed into another home. Some are abandoned; some are lost. Shelter staff make attempts to reunite lost pets with their owners, including holding the animals for five days to give owners opportunity to retrieve their dog or cat. Torpy said the number of unwanted animals illustrates the importance for pet owners to spay or neuter their pets. Animals available for adoption can be seen in person at the shelters or on the county’s website, www.brevardcounty.us, under Brevard County Animal Services. 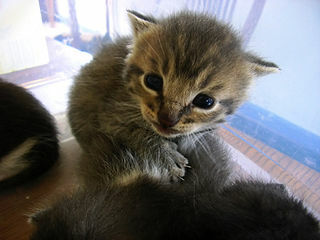 The shelter is having a BOGO special for kittens through the end of June: Buy one kitten for $70, get one free. Brevard County shelters are open noon to 6 p.m. daily, except Wednesday. Locations are: South Animal Care Center, 5100 W. Eau Gallie Blvd., Melbourne, and North Animal Care Center, 2605 Flake Road, Titusville.